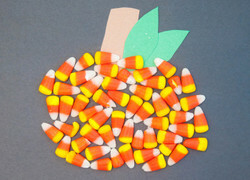 This Halloween, encourage your child to create a super sweet mosaic. She'll make a candy corn pumpkin and then decide if she wants to eat it, or keep it! Candy cane ornaments bring some cheer to your Christmas tree. 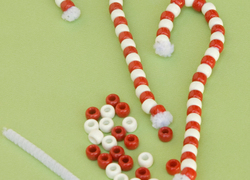 Make a batch of candy cane ornaments with your child to practice patterning and fine motor skills.